Have you ever tried to take up running? We have, and let us tell you it's not as simple as it looks. To properly run, you need good gear, correct form, and to abide by a relatively strict schedule to prevent injury and build endurance. So just how do we do all of the above? By following a running plan and sticking to it. In order to do just that, we asked Jacqueline Kasen a body architect at Anatomy at 1220 in Miami for a few tips regarding running for beginners. While you might think the first step of running is to throw on some sneakers and go for a jog, Kasen says to literally walk before you run. Then, after three to four weeks of long distance walking, you can begin to take on running. Kasen further outlines a beginner's running schedule, as well as how to relieve sore joints and the proper way in which to run in this here handy-dandy running guide. So what are you waiting for? Scroll down to read Kasen's in-depth tips on running for beginners. Running utilizes every single muscle group in the body, thus burning a serious number of calories says Kasen. Plus, like other cardiovascular exercises, Kasen says running is a great way to ward off heart disease. And, while running may be known for its physical health benefits, Kasen says it is a great exercise for the mind as well, in that the repetitive motion of running can have a meditative effect on some people. "If someone is interested [in running] and does not have any orthopedic issues, or if they are looking to participate in an event or race, running can be an excellent source of exercise," says Kasen. And, while Kasen is quick to promote running, she cautions those with a history of orthopedic issues to consult a doctor before starting the exercise, as she says running can cause stress on the joints and increase your chance of injury. "There is no equipment that is needed to run except a really great running shoe" says Kasen. So just what type of shoe should you look for? According to Kasen, a good running shoe is lightweight, stable, and provides room for movement. 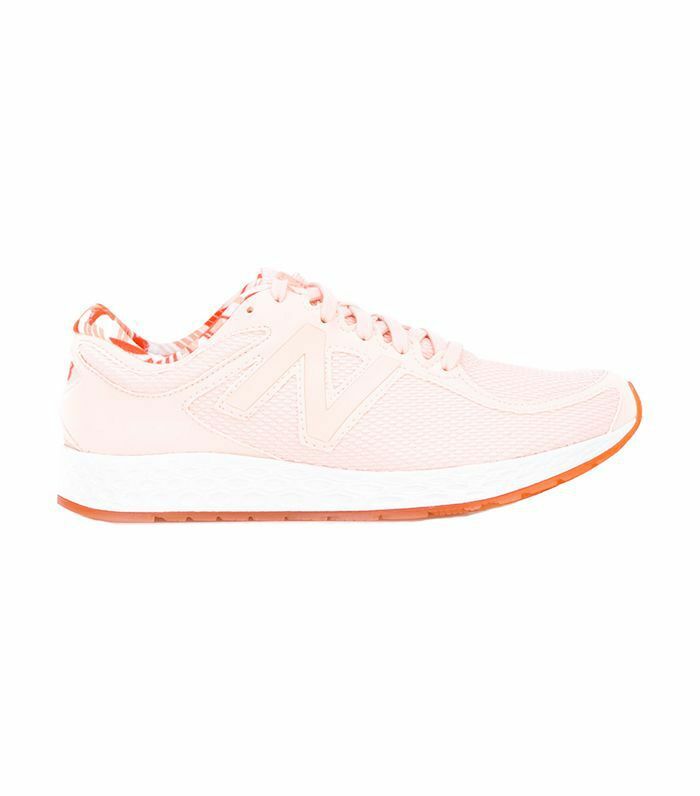 Our personal favorite: New Balance Fresh Foam Zante Shoe ($110). Proper running form is very important, says Kasen, as correct form minimizes injury. To properly run outside or on a treadmill, Kasen recommends a shorter stride to reduce injury, and to drive your foot in a heal-to-toe motion as you follow through. As for your trunk, she suggests keeping it controlled with little rotation. Shoulders should be relaxed, and arms should move in sync with your legs. Since arm movement gives force to your stride, Kasen says it's important to hold your elbows inward at a 90-degree angle and to "pump" your arms with every stride. What Does a Beginner Running Schedule Look Like? In regards to beginning running, Kasen suggests walking on flat ground before beginning to run. She recommends walking two to four days a week, no longer than 20 to 30 minutes each session, and to increase mileage every other week for three to four weeks. After three to four weeks of walking, Kasen says it's time to start running. She recommends running at a light to moderate tempo for about twenty minutes on a Skillmill or Technogym, as these machines teach the body to drive with the glutes and hamstrings, thus aiding in proper form. Kasen recommends performing this exercise for 20 minutes twice a week, adding on more mileage every other week. Is It Okay to Rest? Since running is a full-body workout, Kasen says it can be very demanding. Therefore, she recommends taking rest days between runs to reduce the risk of injury. As for resting during runs, Kasen says not to slow to a full stop if you can help it. Instead, she suggests slowing your tempo and finishing your run, as this will help build endurance. How to Deal With Soreness? "Soreness is very common when starting [to run] because your body is moving in ways that it is not used to moving," says Kasen. To quickly recover, she recommends foam rolling before and after a run, stretching, and, if interested, cryotherapy. If you're planning to take up running, scroll down to shop the gear you're going to need. Flexible, stable, and stylish—the perfect running shoe, no? 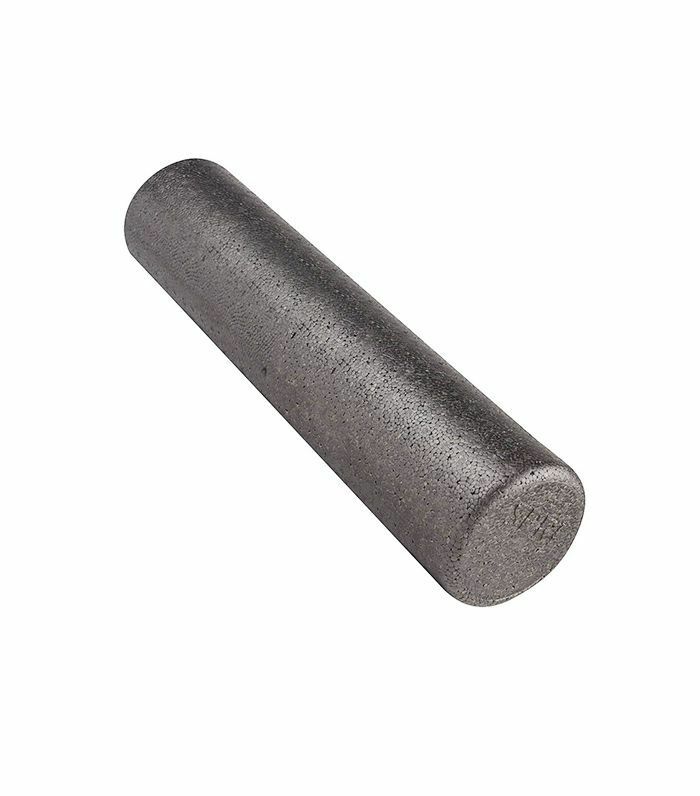 A foam roller is essential to use before running, during stretching, and after running soreness. 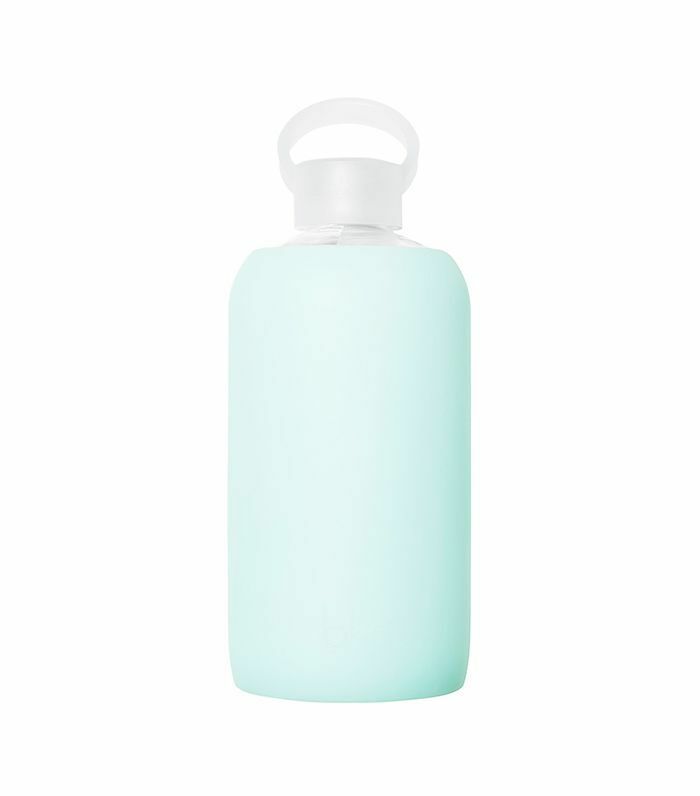 Because you're going to need to hydrate. Next up: How to train for a marathon without hating your life.